British Prime Minister Winston Churchill, 20 August 1940. Although spoken in regards to British Airmen who faced what seemed like insurmountable odds against the approaching Germans in what we now refer to as “the Battle of Britain,” and then defeated them, protecting their homeland, that simple phrase also shows how historically, in times of conflict, a small minority of the citizens don the uniform to fight for and defend our way of life. In World War Two it was approximately one in ten served in the ranks. Today, it is less than 1% who has been sent off to face those who would like nothing more than to see our culture destroyed and replaced by their misguided and oppressive views. Since we no longer have compulsory service, drafting able bodied and qualified young men to serve, leaving them little or no choice in serving, we depend on advertisements and military recruiters to fill the ranks by appealing to people’s patriotism, desire to better their education or those who would just like to travel, learn a trade, learn to fly or operate technical equipment. For whatever reason a young person might have, there is a very good chance that the various branches of the military has a need for people to serve in that capacity and are willing to train them. But when the shooting stops at wars end or that person fulfills their enlistment contract and returns to civilian life, what then? What happens with that training, education and experience gained, often at great expense? They have discipline. They have courage to face a task, no matter how large it may seem. They have teamwork, the ability to follow orders or give orders and then cooperate and work alongside others to accomplish the task. They know how to pick up the ball or bolster the person next to them who may be faltering or tiring out. Above all, they’re dependable. They have learned to work under pressure, quickly assess a situation to make quick decisions, often in matters of life and death and carry it through. But what of others not in the infantry? What of their training? The Military is a team effort. From cooks in the mess hall to the guy loading a howitzer. From the company clerk to the commanding officer. From the mechanics and technicians who stay up all night repairing a helicopter in the field to the crew that climb in the next morning to fly their mission and return safely, it is a team effort, top to bottom. There too, the training and experience gained is a result of long hours of study, cooperation and learning from those who you serve with. Quick assessment and diagnosis of malfunctioning equipment and repairing it can mean the difference between a pinned down squad being rescued or left to be slaughtered by our enemies. These are skills learned quickly under such conditions that they remain with you for a lifetime. They carry forward after leaving the service and guide a chosen career, should the returning Vet be hired. Although present after every one of our wars, the fear of hiring a Veteran never should have been. Stories of “walking time bombs” and “trained killers” used by those opposed to our defending our shores against enemies are more hype than anything. Our all too willing media prides themselves on “Support the Troops,” but in the instance of one messing up, the headlines would leave the public to believe it is common place. Don’t you ever find it odd that the media doesn’t feel the need to delve into the background of others who commit heinous acts as deeply as they feel the need to when it might be a Veteran who does wrong? Are employers fearful over claims of PTSD? What of civilian employees who might have seen a severe auto accident or been in one? Or once been married to an abusive spouse? Or grew up with abusive parents? Any number of reasons can contribute to PTSD, several not even related to Military Service. 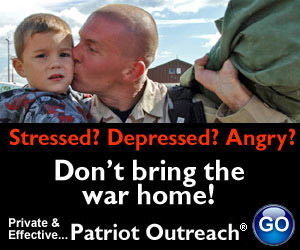 But who worries about those who didn’t serve and might be affected by PTSD? Does the employer even ask or consider them as potentially suffering from it? And what about training and experience? As our involvement in the current conflict seems to be winding down, we see thousands of highly trained, highly skilled and motivated people returning and not seeking glory, just a chance to get on with their lives. These are people trained in delicate electronics repair, exacting repair and maintenance on aircraft, computer use and repair and so much more. Even those trained in maintenance of their individual weapon has learned to do it in exacting detail. 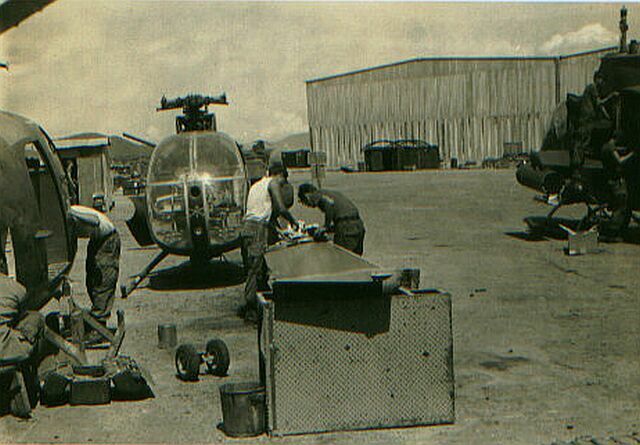 When I left the Army in 1977 after 8 years around aviation and repairs on helicopters, achieving the status of Tech Inspector, the one who makes the final determination if a repair is satisfactory or not to clear the aircraft for flight, I was stunned to see that all of my training mattered little to potential employers. Many weren’t even interested in what all I was trained and experienced in. It is unbelievable to see that over three decades later, it hasn’t changed, many employers either are afraid or are just unwilling to take a chance on all of that training and experience the Veteran applying for a job has received. Even in these tough economic times, seeing that Veterans unemployment rate is so much higher than the general population escapes logic and reason. Are our Troops no longer worthy of that support we boasted of once they return and reenter civilian life? Parades, ribbons on trees or even applause as they walk through an airport after returning is great and appreciated. Taking a chance and giving them a job, taking advantage of those skills they have learned is even better. It is even more wasteful to allow all of the skills acquired and experiences learned by our Veterans to waste away as well. You’re willing to take a chance on unknown politicians every couple years, why not take a chance on skilled Veterans now? Skilled, experienced, motivated and disciplined. What's not to want? The country takes chances on politicians, how much better to take a chance and hire a Veteran? Illegal Aliens Defrauding the American Taxpayers?